1991, March 26. 4p Emblem of Postal Services Office, Blue & Yellow on Light Blue. 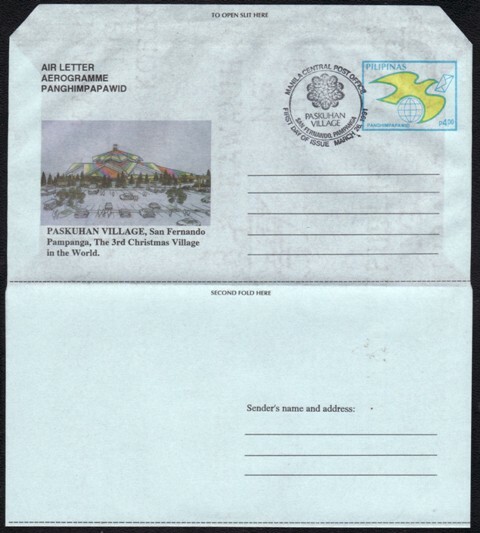 With Christmas Village BACK Cachet, Type 1 (100,000); FRONT Cachet, Type 2 (509,300). AIR LETTER / AEROGRAMME / PANGHIMPAPAWID. Amstar Company, Inc.